This is the full version of an article that I wrote for Majesty several years ago. The late duke of Windsor called them "tea-cup betrothals," a description that referred to the art of royal matchmaking during the early part of the 20th century. It was a natural process for Europe’s sovereigns to spend time together to discuss their children’s marriages. King Albert I and Queen Elisabeth of the Belgians and King Vittorio Emanuele III and Queen Elena of Italy had met several times -- and tea was invariably served -- to consider marital opportunities for their sons and daughters. Crown Prince Umberto was expected to propose marriage, and a dutiful Princess Marie-José would say yes. Theirs was one of the last truly dynastic marriages of the 20th century. Until the advent of the second world war, royal marriages were largely arranged for political or diplomatic reasons. This attitude toward marriage began to change after World War I, when the imperial thrones of Russia, Austria-Hungary and Germany collapsed in the fire of revolution. Princes and princesses were still marrying each other, but "mates were often commoners." Princess Marie-José and Crown Prince Umberto’s marriage in 1930 was one of the rare occasions when the papers got it right. Most of the time, the news accounts of a royal romance would prove to be fiction, and the papers would move onto another royal subject. One of the world=s most respected and influential newspapers, The New York Times, often published original reports from British and European newspapers. There were a few occasions when the story was true, and engagement announcements would follow. Several engagements were annulled before the wedding day. Some engagements were "impending" or "forthcoming." Most of the time, the courts would "officially deny" such reports, especially if there was little merit to the story. 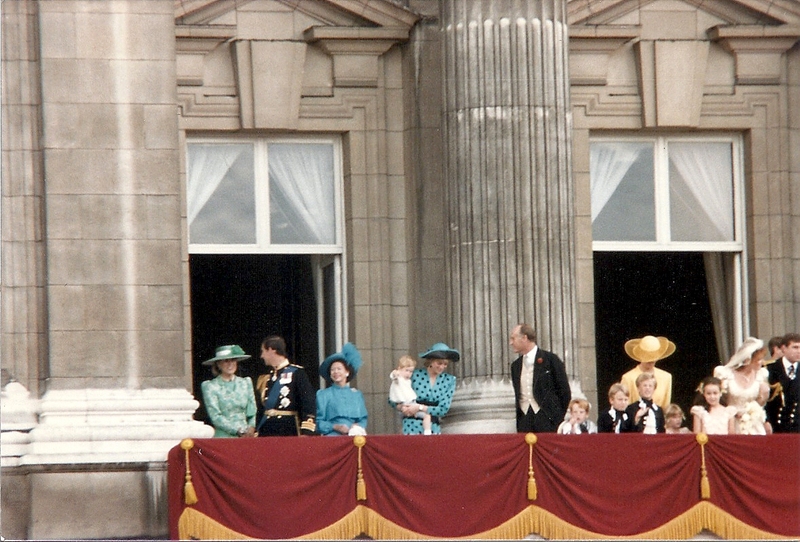 It’s safe to say that little has changed in the media’s coverage of European royalty. A British princess by birth, Queen Marie of Roumania was described by The New York Times as a "veteran matchmaker," who actively sought grand marriages for her children. It was reported in September 1913 that Marie"s two eldest children, Crown Prince Carol and Princess Elisabeth would marry Grand Duchess Olga and Crown Prince George of Greece at "an early date." But Olga did not want to leave Russia for a foreign marriage. Her parents, Nicholas and Alexandra, both of whom were Marie’s first cousins, did not force the issue, and the Roumanian royal family returned to Bucharest without a bride for Carol. After a brief marriage to a Roumanian commoner, which was annulled, Carol married Princess Helen of Greece. They were married in March 1921, just one month after Elisabeth had wed Helen’s older brother, the future King George II of the Hellenes. Both marriages had been arranged by Queen Marie, eager to strengthen relations among the Balkan countries. Helen and George were children of Marie’s first cousin, the former Princess Sophie of Prussia. Apart from their impeccable genealogical ties, neither couple had much in common. Both marriages ended in divorce. The frequent rumours about a marriage between George and Elisabeth proved to be true. The New York Times printed a report from a German newspaper that Kaiser Wilhelm II had "arranged the match" and would act "as a witness" at the marriage. At the time, George was involved in a "flirtation" with his cousin, Countess Zia de Torby. After reading about the engagement in a magazine, she wrote to George for confirmation. "There is not a word of truth in it," he responded. He thought Elisabeth "was awfully nice," and "we got on quite well together, but only as a guest would with his host." Queen Marie certainly used her "tea-cup" diplomacy to arrange the marriage of her second daughter, Marie, to King Alexander of Yugoslavia. Rumors of this proposed marriage first appeared in 1920, but, at the time, were not considered to be authoritative. King Alexander was described as a man who "has frequently been reported engaged," but was unable to find a bride to share his throne. In 1921, according to a Belgrade dispatch, Alexander had become engaged to Princess Sophie of Orleans, the daughter of the Duke of Vendome. Although "enamored" with Sophie, Alexander, having signed a treaty of alliance with Roumania in the summer of 1921, gave serious consideration to marriage with the young Princess Marie of Roumania. The marriage, which took place in June 1922, was certainly a dazzling achievement for Queen Marie. The Queen, having helped put crowns on the heads of her two eldest daughters, now turned her attention to her youngest daughter, Princess Ileana. Although denied by Queen Marie, Crown Prince Umberto of Italy was reported engaged to Ileana in December 1926. 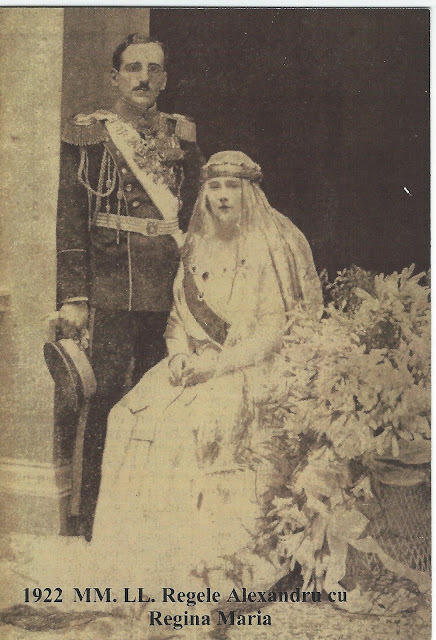 The marriage would take place "within six months if King Ferdinand [Ileana"s father who died in July 1927] lives" or after a decent mourning period. 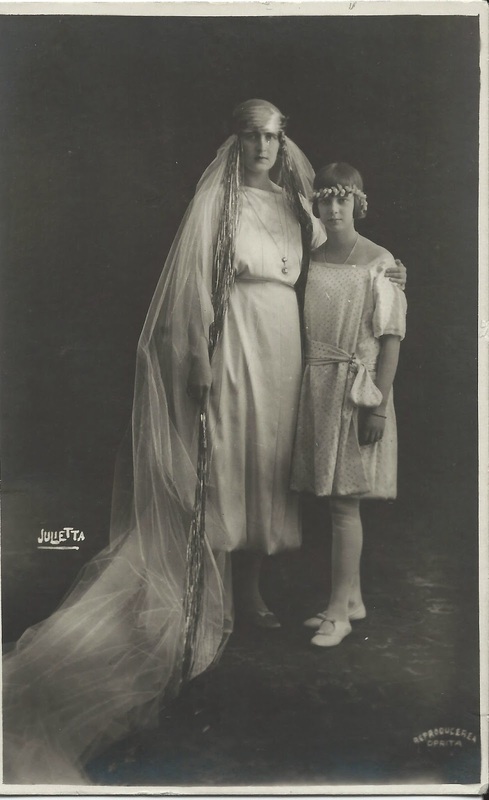 The marriage was allegedly arranged in September 1926 during the Italo-Rumanian convention, where Roumanian received a financial loan from Italy. The Roumanian prime minister is reported to have told friends: "I didn=t get much from Italy, except a throne for a Princess of Roumania." A "reliable court authority" told a reporter that a marriage was expected between Ileana and King Boris of Bulgaria. He could not have been that reliable because an official denial was quickly issued in Sofia. "This eventuality is out of discussion," said a Bulgarian courtier. There was not a shred of truth to the story, but Ileana was said to have eloped with a young naval lieutenant, an aide-de-camp to the late King Ferdinand. The rumor arose from the fact that the "two young people are old friends and were recently seen together at a Black Sea resort." 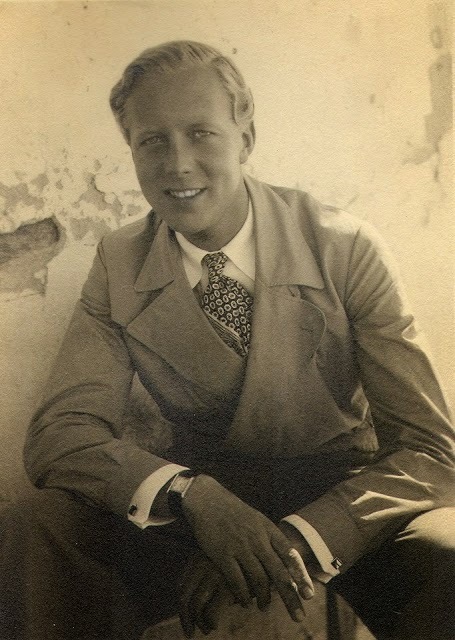 In the late 1920s, there were discussions for a marriage with Archduke Albrecht of Austria. Several reports suggested that if Archduke Albrecht was elected as King of Hungary, Ileana would become his queen. "Rumors concerning the marriage of the Hungarian Archduke Albrecht with Princess Ileana are daily growing stronger," reported the Hungarian Foreign Minister who met several times with his Roumanian counterpart. "Winsome and still very youthful," Ileana was "frequently put down as a likely consort for the Prince of Wales." At the age of twenty, she was described as "pretty" and of "her accomplishments it goes without saying are all wonderful," which meant she was eminently suitable. Queen Marie told her American biographer, Mabel Potter Daggett that she would "not marry Ileana even to a King, unless she loved him, but that princes without thrones for Ileana to sit on, need not apply." Ileana did not get her crown. 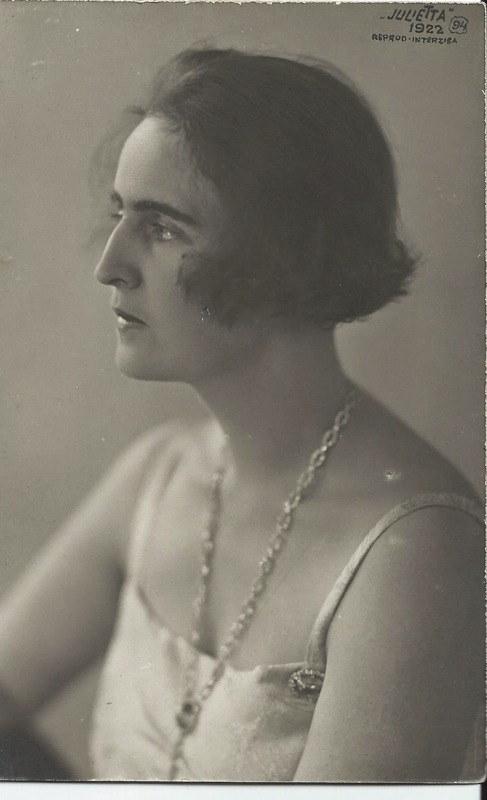 In 1930 she was briefly engaged to Count Alexander of Hochberg, son of Marie’s good friend, Princess Daisy of Pless. But Marie ordered the marriage to be called off she learned that Alexander had been involved in a homosexual scandal. A year later, Ileana married Archduke Anton of Austria. According to "court gossip, the engagement was dictated by affection rather than reasons of State." The marriage was actually arranged by Ileana’s brother, King Carol II, who was angry with Ileana for siding with his former wife, Helen. Carol stripped his youngest sister of all her patronages, and eagerly searched for a husband for her. After the wedding, she was allowed to visit Roumania for only one month per year, and only with Carol’s permission. On her wedding day, Ileana "upheld the romantic glamour of royalty, and has been observed by more than one journalist as a pawn in the political game of Central Europe." Ileana summed up her feelings about marriage in an interview in 1929: "It is not easy for a girl to get married today, even if she is a princess." 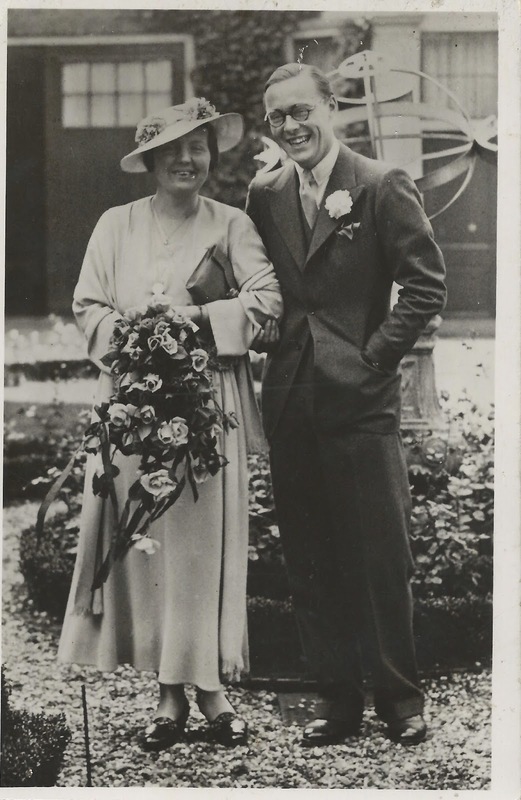 It took a great deal of careful diplomacy to achieve his goal, and once the religious obstacles [Boris was Orthodox and Giovanna was Roman Catholic] were largely overcome, the marriage took placed in October 1930. The exiled Empress Zita of Austria was reported to be behind the engagement rumors about her son, Otto, and Princess Maria of Italy. In 1930, Zita invited various officials to her home near Parma, to discuss the marriage, which would hinge on Otto. The engagement was believed "certain [to happen] in well-informed court circles," but Otto’s lack of a throne placed a damper on the negotiations, and the plan fell apart. In 1939, Princess Maria married Zita’s younger brother, Prince Luigi of Bourbon-Parma. Before the Russian Revolution, rumours were rife about marriages for several members of the Imperial Family. A year before the putative engagement between Grand Duchess Olga and Crown Prince Carol, the New York Times reported a "rumor in circulation" that Olga was to marry the third son of Kaiser Wilhelm II, Prince Adalbert of Prussia. The engagement was expected to be announced "during or after the coming meeting between the German and Russian Emperors at Baltishport." There were a number of actual engagements that were broken before the marriages could take place. In 1902, the engagement of Archduchess Maria Annuciata of Austria and Siegfried Duke in Bavaria was "broken by mutual consent." Princess Ila von Thurn und Taxis, 20, left her fiancé, Prince Raphael of Thurn und Taxis, at the altar when she declared she was in love with his brother, Philipp Ernst. The Bishop of Regensburg was ready to perform the service when Ila, in tears, went to see the head of the family, Prince Albert - the father of the groom - to say that she "found it incompatible with the dictates of her conscience to marry Prince Raphael. The princess was credited with "sincere motives springing from a deep religious conviction that it would be wrong to marry Prince Raphael when she really loved Prince Philipp. They were married later in the year. Prince Raphael wed another Thurn und Taxis cousin in 1932. Princess Irene of Greece’s two-year engagement to her cousin, Prince Christian of Schaumburg-Lippe was broken in May 1929 "because she found that she would be obliged to live almost permanently in the atmosphere of German monarchist and military society at Potsdam where Prince Christian usually resides." Neither would rush into marriage. 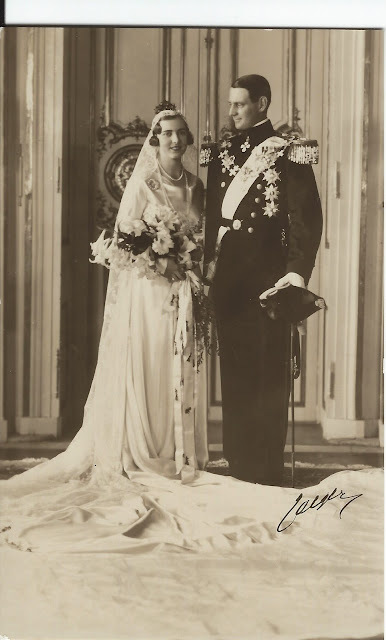 In 1937, Christian married his first cousin, Prince Feodora of Denmark. Two years later, the "tall, beautiful, blue-eyed" Princess married Prince Aimone, the Duke of Aosta, a cousin of the Italian king. 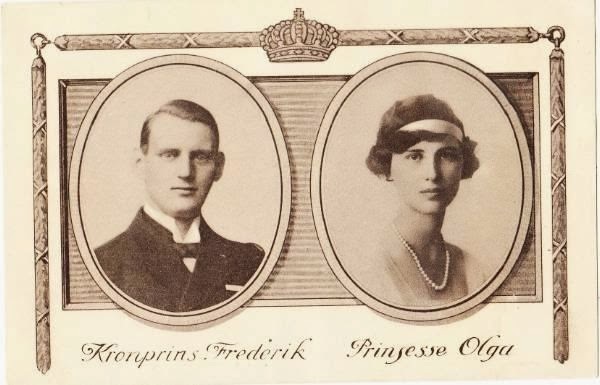 When Crown Prince Frederik of Denmark and Princess Olga of Greece was announced in the spring of 1922, it was hailed as an achievement for their mothers, Queen Alexandrine and Princess Nicholas. The two women conspired for some time to bring their eldest children together. Although nineteen-year-old Olga was delighted by Frederik's attention towards her, she knew very little about him. 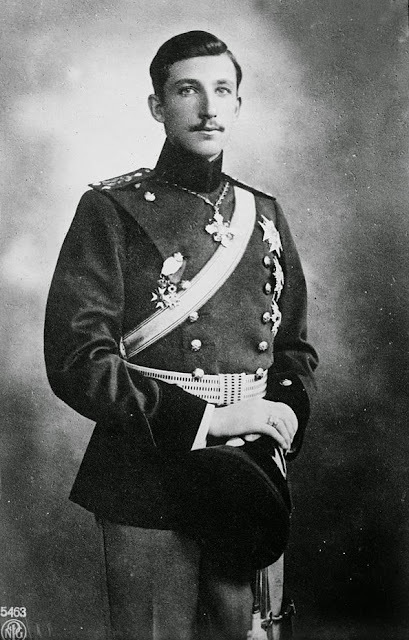 According to Olga's uncle, Prince Christopher of Greece, "a misunderstanding arose" that led first to a postponement and then to the marriage being called off. Crown Prince Frederik had a serious drinking problem. At one event, Frederik was so drunk that he had taken the hand of Olga’s sister, Elisabeth, instead of Olga’s, to acknowledge a cheering crowd. That September, Olga gave back his ring, and Frederik said he was glad they parted without bad words." Olga did not mourn for long. A year later, she wed Prince Paul of Yugoslavia. Although Crown Prince Frederik was "unlucky in his engagement with Princess Olga, he was soon linked with Princess Ingrid of Sweden. Rumours of their marriage surfaced in 1928, but all of the stories were said to be "without official confirmation." In January 1935, just weeks before the official announcement was made, Danish court officials "professed to know nothing of the reports." Two months later, "despite denials of rumors of the engagement," the story "reappeared" on front pages of Scandinavian newspapers, There also appeared to be a "corroboration of the story," as Frederik was en route to Stockholm. On April 8, a New York Times headline stated: "Royal Betrothal Now Open Secret. "Despite official denials, it was learned today from persons closely associated with Scandinavian royalty that the announcement" of Frederik and Ingrid’s engagement was expected after King Gustav V returned from France. Juliana was only 11-years-old at the time, and Rupert, 15. Perhaps Alice was given a prominent place at court because she was a British princess who happened to be Queen Wilhelmina. 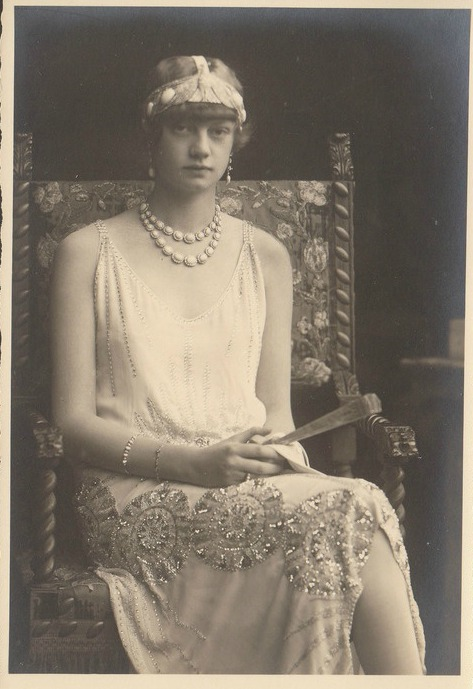 In 1926, after spending five days with the Dutch Royal Family, Prince Nicholas of Roumania made a favorable impression, although, according to Wilhelmina, the "plump, amiable looking" princess was still too young for marriage. Sweden’s Crown Prince Gustaf Adolf in July 1930 "officially denied an Amsterdam report" of his son, Prince Sigvard’s engagement to Juliana. 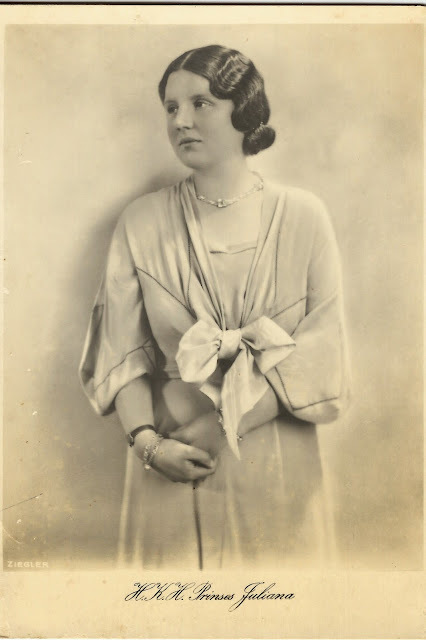 Yet, two months later, "there are persistent rumors in Holland" that Queen Wilhelmina would, in her address opening Parliament, " will announce Juliana’s engagement" to Prince Sigvard. It did not happen. Prince Charles of Belgium was briefly considered as Juliana’s spouse only because her father, Prince Hendrik, had paid a visit to Brussels. "It was authoritatively denied" that the Prince’s visit was to arrange his daughter’s marriage. When the new Dutch ambassador to Sweden told a reporter in June 1934, "Holland would greet with joy a Swedish prince in the royal family at The Hague," the newspapers jumped on the possibility of a new royal romance between Prince Bertil and Princess Juliana, both of whom were in England at the time. A few months later, "there was a direct official denial" of an engagement between Bertil’s younger brother, Prince Carl Johan of Sweden and Princess Juliana. Within a space of four years, the Dutch Crown Princess was "engaged" to three of the four sons of Crown Prince Gustav Adolf. An authoritative source" stated December 1934 that Juliana’s engagement to Grand Duke Friedrich Franz of Mecklenburg-Schwerin would be announced after the New Year. When Prince Karl Viktor of Wied arrived in Holland with his father in April 1936, everyone assumed a "prospective engagement" was forthcoming. On September 8, 1936, "the entire country was elated" when Queen Wilhelmina officially announced Juliana’s engagement to another German, Prince Bernhard of Lippe-Biesterfeld. Was King Leopold III searching for a new wife two years after the death of Queen Astrid in a car accident in 1935? The New York Times reported that a "romance is expected" between the King and 21-year-old Lady Anne Cavendish-Bentinck, a granddaughter of the Duke and Duchess of Portland, who were said to be old friends of the King. In December 1937, Leopold and his mother, Queen Elisabeth, traveled to England to stay with the Portlands at their home, Welbeck Abbey, Lady Anne said to be "tall, attractive and a keen huntswoman." According to Belgian sources, the King wished to remarry "for the sake of Queen Astrid’s three children, " but Lady Anne, who never married, was not destined to be Leopold’s second consort. A year later, more rumors of a proposed marriage for the King appeared in the paper. King George II of Greece’s visit to Brussels "gave rise to the rumor of a possible marriage" between George’s sister, Irene, and Leopold. A trained nurse, the princess, who had already broken off an engagement with Prince Christian of Schaumburg-Lippe, was, according to a wireless sent to the paper, "of a shy and retiring disposition." Although reporting has become more sophisticated and intrusive, newspapers and magazines continue to thrive on nuggets of royal romance. The Prince of the Asturias, the heir to the Spanish throne, has been the subject of marital rumors for the past decade. Several Spanish newspapers and magazines were so convinced that he was going to marry Princess Maria Carolina of Bourbon-Parma that they even named the date and place of the wedding. In Denmark, the news of Crown Prince Frederik's romance with Australian Mary Donaldson has thrown the entire country into a frenzy. A report on an "impending announcement" by a TV station in late September led to Danish journalists setting up camp outside the palace in Copenhagen. The reports were dismissed by Crown Prince Frederik’s private secretary, Per Thornit, who said in a statement. "There will be no announcement today or in the near future." He added that the report was "speculation invented by the media.